Add impact to your design projects , flyers, postcards, business card, banners and more with royalty-free images from Fotolia. Their licenses include unlimited print runs and never expire! 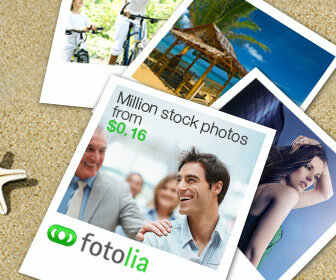 Fotolia is devoted to offering affordable creative imagery. Their crowd-sourced library includes millions of royalty-free images, vectors, illustrations and video footage clips. Take me to Fotolia now!